Hi lovelies! I have another review for you all today! For quite some time now, I've been using Real Techniques brushes for my foundation, concealer, blush and lips, but was still using some rather tired looking old MAC/ e.l.f/ unbranded brushes for my eyes, powder and bronzer. 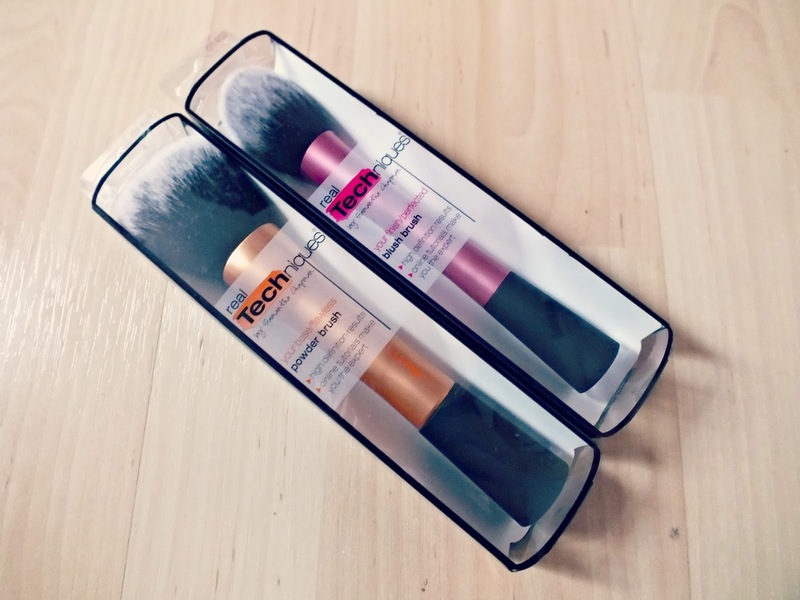 So, when my sister bought the Real Techniques Powder Brush and Blush Brush home for me after a shopping trip, I was super excited! I've been using both of these for a few days now and have, just as I expected to, fallen totally in love with them! I use the powder brush with my favourite face powder (MAC Mineralize Skinfinish Natural in Medium Plus if you're wondering!) and it applies it like a dream. I'd never really thought much about what powder brush I was using, as I didn't really think it made much difference. Wrong. This makes putting my powder on super quick and easy as it's so much bigger than the one I was using before! It seems to apply my powder so much more evenly than any other brush too. It doesn't pick up too much products when I swirl it in the pan, so the powder on my face is evenly distributed and not at all cakey. The bristles, as with all Real Techniques brushes, are super soft and they haven't shed at all (touch wood!!). 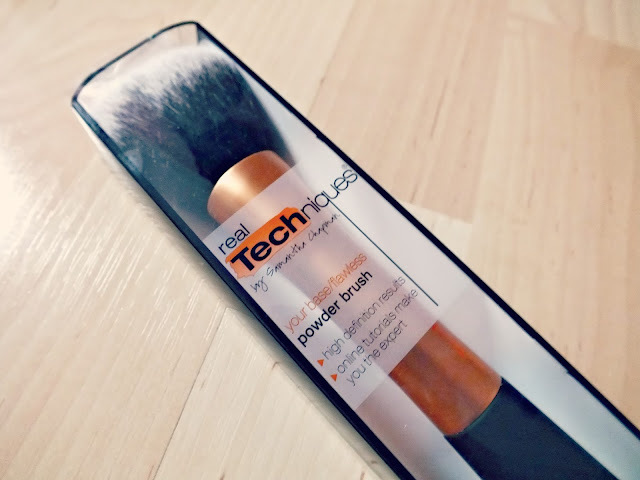 Overall, if you fancy a good, high quality powder brush and like to apply your powder quickly without worrying about cake face - then definitely give this a go! The blush brush, as you can tell is pretty big to be used for blusher (I use my Real Techniques contour brush for this! ), but I love using this as my bronzing brush. I use a very light subtle bronzer, so I don't need to be massively careful with where it goes, so I love swirling this round in the product and sweeping it around my temples, under my cheek bones and along my jawline for a really quick, easy and subtle bronzed look. Though when I decide to do some contouring, I just pinch the bristles of this brush slightly to make it a little more narrow and apply bronzer under my cheek bones, then use it as normal to blend the product out, which gives a perfect finish! Again, the bristles are super soft and no shedding as of yet, which is fab. Overall, I'd totally recommend both of these brushes, Real Techniques can do no wrong in my eyes! And speaking of eyes, let me know if you've tried the eye brushes and let me know if I need them in my life! 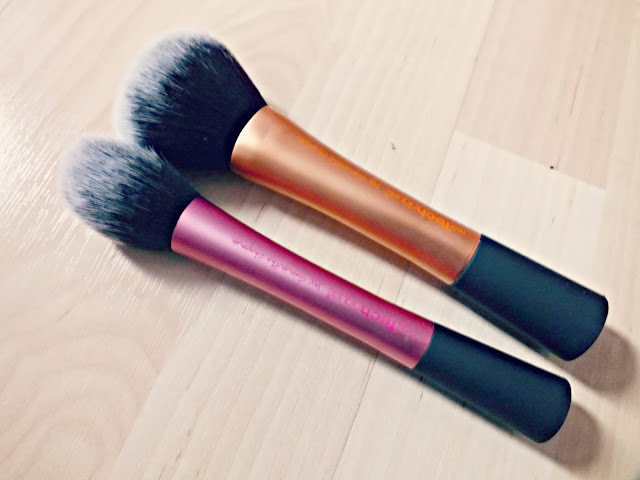 I really would like to try these brushes because they sound lovely and look so pretty! The blush brush is one of my favourites and I've been contemplating buying the powder brush for ages. Sounds like I need to part with my money. 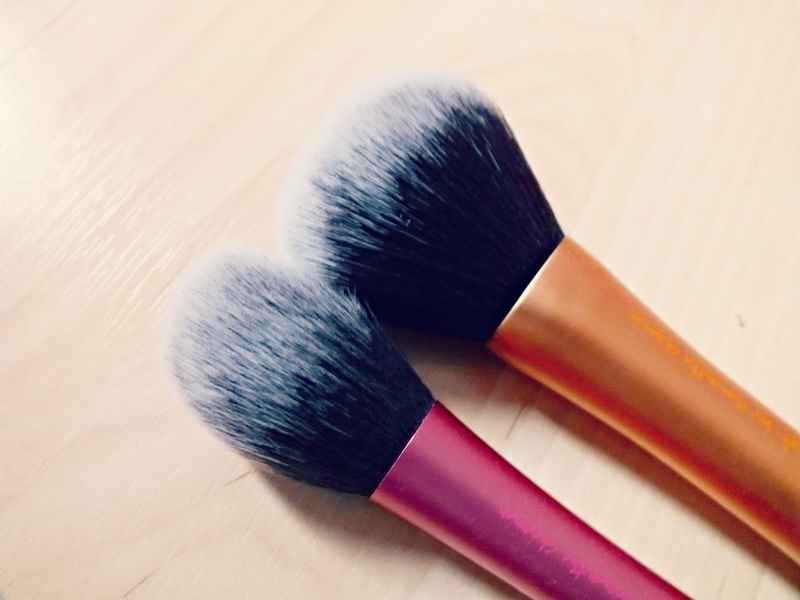 I have the powder brush and I love it too! It's so soft and a great brush for the price. 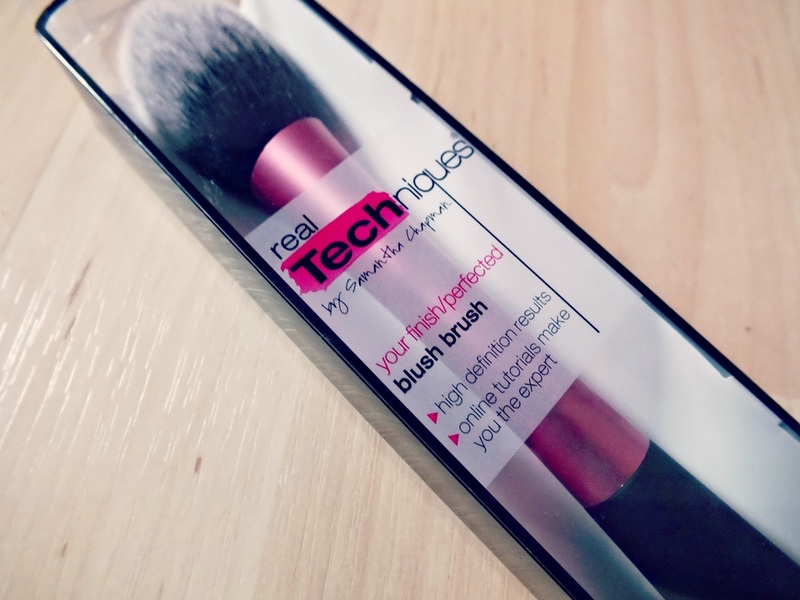 Next on my list from real techniques is the blush brush! I love these brushes as well - the blush is good for blending out contour as well as for powder itself :) Can't wait for the xmas set to come out! i LOVE these brushes so much! i use the powder brush with my mac msf natural as well and I couldn't agree more, it really does go on like a dream! great review Chloe! 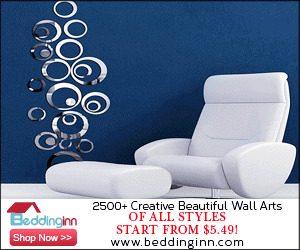 Love your blog + now following you on bloglovin.